Vik’s Chaat is one of those places you hope never changes. They’ve got a system and it works. Walk up to the counter and place your order. Check out their adjoining market while your meal is prepared at one of the stations in the open kitchen. In about 5 minutes or so, your number is called, and you pick up your food and enjoy! It’s simple and the food is delicious and affordable. Vik’s is one of my regular stops when I’m in Berkeley and I especially like the samosas. Everything is cooked to order, so your samosas are light, and delicious! If you are vegetarian or vegan it is really easy to eat well at Vik’s. 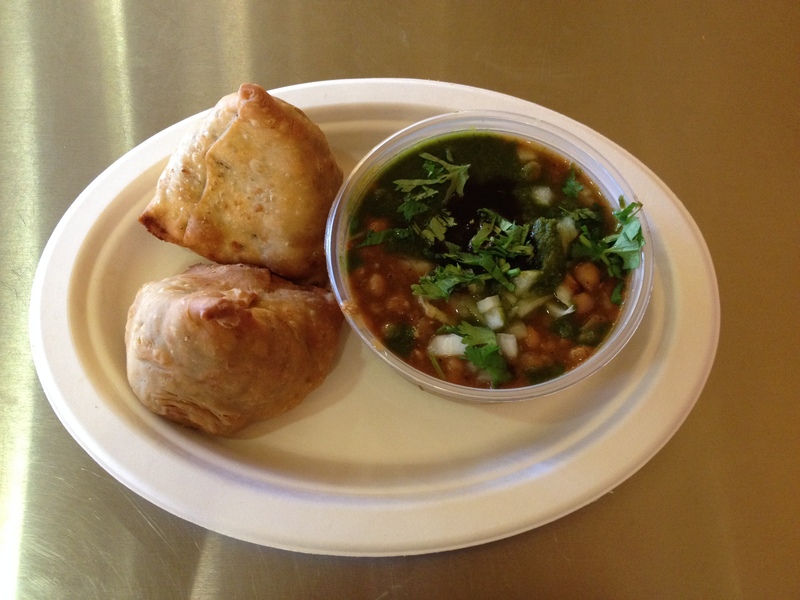 Chaat is Indian Street food, and Vik’s has been serving it to the Bay Area from their Berkeley location for more than twenty years. If you want to try your hand at Indian cooking, their market has a good selection of spices, lentils, and other key ingredients . But really, Vik’s is so affordable and so tasty, you should just head over there when you’re in town. Delicious, filling lunch for 6 bucks!